The Best Auto Repair Shop In Town! We’re your dealership alternative! In business since 1989 and now located on King Georges Post Rd in Fords–we are a certified NJ state emission inspection station and offer an array of services, including: general auto repair, brake repair, oil change service, factory scheduled maintenance and additional services as an independently-owned and operated full-service auto repair and maintenance facility. Lou’s Edison Motors of Fords uses only the latest diagnostic equipment to guarantee your vehicle is repaired or serviced properly and in a timely fashion. When necessary, only quality replacement parts are used and installed by our ASE-certified technicians. 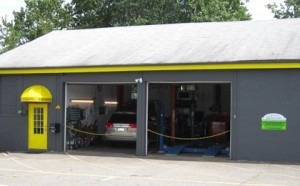 We’re a full-service maintenance and repair facility in Fords, NJ capable of handling anything you need, from orders to routine and factory scheduled maintenance on most makes and models. Whether your vehicle needs restoring, replacing or maybe just some TLC, we keep your budget in mind when performing repairs. Regardless of what your car is suited with, we at Lou’s Edison Motors suggest that you regularly visit us to have your brakes examined anytime you experience brake noise. Regular replacement of your motor oil is among the best and affordable ways to extend the life of your vehicle’s engine. We’ve got the special equipment to get this done for you at Lou’s Edison Motors. Full service auto repair, foreign and domestic, for over 30 years. Edison Motors is an independently owned and operated full-service repair and maintenance facility. We use the latest diagnostic equipment to guarantee your vehicle is repaired or serviced properly and in a timely fashion. If you are looking for honest and reliable Fords NJ Auto Repair, our team of mechanics are here to help! Here are links to some of our most popular auto services: Auto Repair, Factory Scheduled Maintenance, Brake Repair,and Oil Change. Give us a call for all of your auto servicing and preventative maintenance needs. So if you are looking for a Auto Repair in Fords, NJ, call us today to learn more about how we can help you.